The Golf Course Schönbuch is located approximately 20 km southwest of Stuttgart and has its own interesting story to tell. The latest discoveries, especially a “large worship rock” show that in approximately 5000 b. C. a Neolithic settlement existed on the current area of the golf course. We do not assume that the people back then already pursued the game of golf, however official documents do prove that the first documentary mention of the city of Holzgerlingen which is located on what is the currently the main hill of the golf course was in the year 1.007 AD. Further contemporary documents prove the affiliation of the farming estate to the “Hildrizhausen Frühmesse” in the 15th century. The forest stock book shows in the year 1552 that the estate was still called “Schaichhof”. The manor had specific justices and in return had to serve as base during lordly hunts and also as a dog pen. The manor house was built in 1771 and together with the farm buildings from the 19th century it takes the form of an extensive four winged structure. For a long time the Schaichhof was a property dominated by agriculture. In the last century it was known for its orchards (in 1840 there were 1000 pome fruit trees, and 400 stone fruits) and cattle breeding. The Schaichhof offered jobs for many people in the surrounding communities and was well known far beyond the region’s borders. The 110 hectare area was purchased by the royal corona domain chamber (today Court chamber of Baden-Württemberg) in 1824 and turned into a golf course in 1989. Over the years the sport of golf has enjoyed a boom and more and more sports enthusiasts have come to experience the fascination of golf. An excellent infrastructure with an 18 hole private course and 9 hole public course are available today for all members and guests. The public golf course is the first of its kind in Baden-Württemberg. One of the largest practice areas in southern Germany with over 60 practice tees, numerous practice and target greens refine the ample range of play for every golfer. 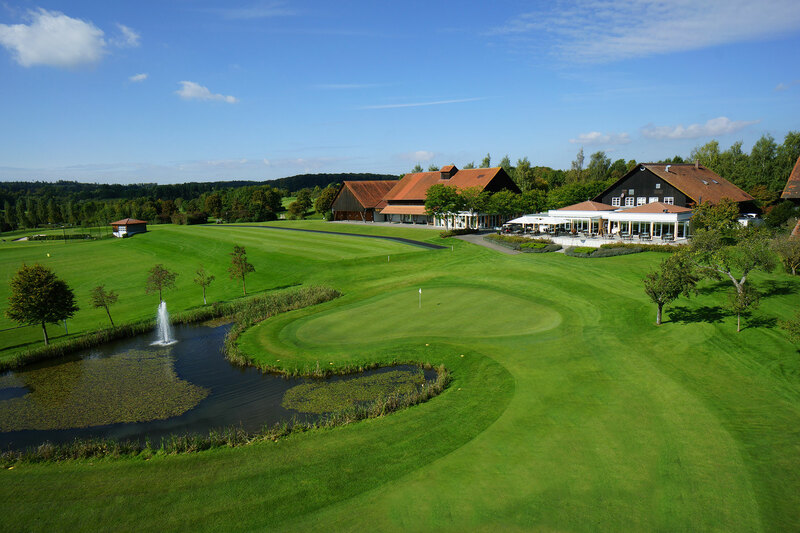 In 2006 the Golf course Schönbuch had the honour of becoming a member of the “Leading Golf courses of Germany”, a valued community of currently 37 golf courses in the whole of Germany. In 2011 the course awarded the Graduation in Gold of the Program Golf & Nature from the German Golf Association. The Club restaurant is also open to the public and known far beyond the region. The beautiful view from the terrace provides the finishing touch to the dining experience with its modern and rustic ambiance.